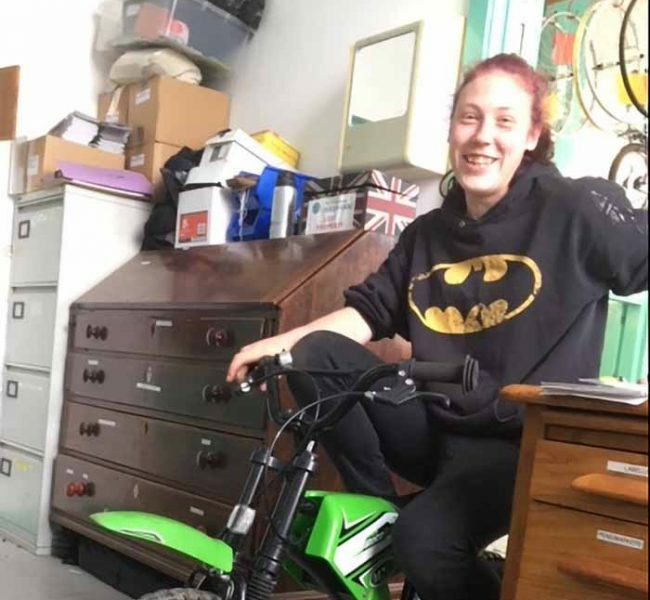 Steph started as a volunteer with Bikeworks before becoming an apprentice with us. Steph is now a full time bike mechanic with several years’ experience and a Cytech level 2 qualification. When she is not in the work shop Steph is a fire and stilts performer! She can be found also with her dog Molly who likes to chase flies and is super cute. Dream Bike: a green one!